To help answer this question, Classical Singer approached several opera professionals for their thoughts on charisma and singing: William Florescu, General Director at Florentine Opera Company in Milwaukee, Wis.; Dan Montez, General Director at Taconic Opera in Westchester County, New York; Roger Pines, Dramaturg at Lyric Opera of Chicago; and Timm Rolek, Artistic Director at Sacramento Opera in Calif. Their combined years of experience as singers, voice teachers, directors, and auditors offer much food for thought. How do you define charisma or star power? William Florescu: It’s hard to define, but I know it when I see it. Performers with stage presence have an aura that just pulls you in. Singers with strong charisma are often able to overcome any technical issues [and] keep you completely captivated. Dan Montez: Charisma is a special fire in the eyes. You feel it when a star walks into a room or on stage. Their dramatic intention floods almost palpably from their person to the audience. They seem to have the power to influence the emotions and moods of the people in the room by sheer will. When they play a character, you feel what the character feels. When they are themselves, they have a powerful influence on everyone around them. Roger Pines: It’s what draws an audience to that person and rivets the attention. I don’t think it has anything to do with appearance at all but, rather with something that emanates from inside the performer. A certain confidence has a lot to do with it, I think, but also a direct appeal that simply connects with the viewer. Timm Rolek: Charisma has an unknown quality, yet it draws you in. Singers with charisma or star power have a certain level of intensity and honesty. They have the unique ability to rise above the expectations of the audience. Can singers develop charisma or is it something inborn? WF: Some aspects of charisma are inborn. But many singers have the potential for charisma, yet it stays ‘locked up’ due to the work of building a reliable vocal technique, mastering languages, and other performance issues. As singers develop and train, they begin to trust themselves enough to allow for greater freedom and expression. DM: Personality traits are harder to change than vocal or acting technique. Charisma can be developed as a personality trait, but it takes a special person who is unafraid to peel back their own psychological onion and look deeply into places that are often painful. RP: I don’t think something like this can be taught, although people can to a certain extent get a little closer to it. Someone can start out as a performer with no real personality at all, and eventually it will simply come out. My usual description of something like this is ‘They had a fire lit under them.’ Still, everyone I can think of whom I would consider a ‘charismatic’ performer has had that quality from the start. How do you recognize charisma or star power in the singers who audition for you? WF: We don’t always get it! [laughs] Sometimes we just can’t see a singer’s true potential from the short, artificial setting of the typical audition. But often something just emanates from the singer. It’s visceral, immediate, and gets you right in the ‘gut.’ Sometimes it’s not one particular thing, but you notice the singer and the audience opening up and blossoming. DM: You generally don’t have to recognize it. You simply want to hire them and you want to work with them. They are often fast thinkers and fast talkers. They look you right in the eye and you feel they want to connect with you. You can tell they are detail oriented and will work not only hard but obsessively hard on their music and roles. They will adapt easily to their surroundings. RP: I recognize charisma in performers when I’m drawn to them as an audience member, and throughout their performance they never let me go. They’re performers who have something to say, genuine, interpretive individuality. That’s a precious commodity these days. TR: The singers with charisma pique my interest. They stand out because they seem to have ‘everything.’ I am impressed with their voice, style, command of languages, musicianship, and sense of drama. In addition, these artists are immersed completely in their performance. They become the conduit for a whole work as they allow the composer’s intent to shine through the music. How much does charisma or star power influence your casting decisions? In what way? WF: It matters a lot. As the general director of a regional opera company, I need to hire singers of the highest quality. Charisma is like light, it tends to spread through a room and ignite everyone in its path. When casting an opera, I am looking for a mix of people that is right for the situation. And sometimes charisma isn’t something that comes from individual singers but from the group as a whole. DM: It makes a huge deal. Singers don’t need to simply project their voice over the orchestra, but also [project] everything they feel. My audience pays to feel that willful energy at the back of the opera house. RP: I’m not a casting person, so I can’t really comment. TR: I’m always looking to find the perfect fit for a role. It’s like a pizza: you want a good mix of flavors and seasonings. Depending on the opera and cost considerations, charisma is definitely part of the mix. In your opinion, which singers (past or present) exude or personify charisma and star power? Why? WF: Singers with charisma have a natural organic connection to the music. Although some singers radiate that charisma both on stage and off, others are very quiet and unassuming off stage and then come alive during performances. 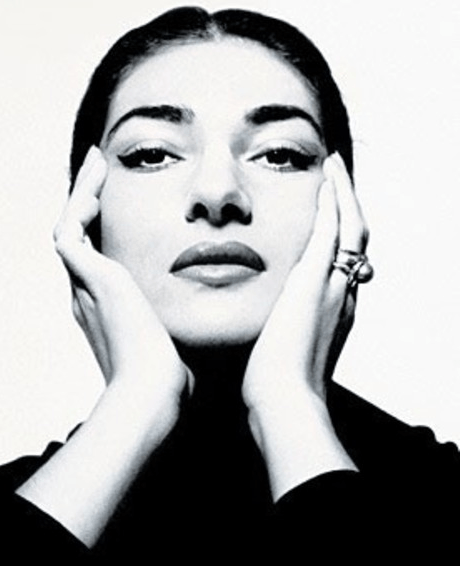 I heard Maria Callas in concert near the end of her career and although her voice was not in the best shape, she radiated passion and intensity, even in passing backstage. The Three Tenors are famous for more than just their voices; they all have a compelling stage presence individually, which is multiplied when together. Other singers with notable charisma are Robert Merrill, Kiri Te Kanawa, Cecilia Bartoli, Thomas Allen (English baritone), Norman Treigle, and Simon Keenlyside. 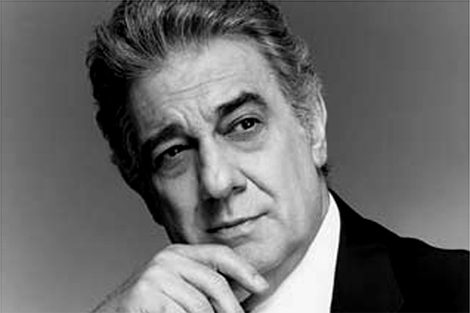 DM: Placido Domingo is the easiest to come to mind. You couldn’t see a live performance of this amazing man without feeling the energy soar off of his body all the way to the top balcony. He was committed to every nuance, not only of phrase, but of subtext and intention. People often speak of the imperfections in his high notes, but few cared. He loved his audience and connected with them and that is what they wanted. He was emotionally naked in front of them. It’s important that singers understand that charisma pays off more than years of vocal technique. Just look at many of the rock and pop stars today who practically have no voices, but they have charisma. That is what sells to the public, even in opera. People will forgive a multitude of sins if the person has this trait. RP: Oh, wow. I could go on with this question for hours. Two sopranos from the recent past that I would single out [are] Elisabeth Söderström, who emanated sheer naturalness as an artist in a way very few others have ever matched. She had the ability to take the listener into her confidence. That is one secret of true charisma onstage. 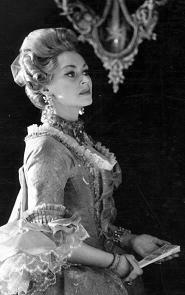 [And] Leonie Rysanek, who had a ‘blazing’ quality onstage. It came not just from her voice and her physicality, but from the intensity in her eyes which had a lot to do with her being able to draw any audience to her. In thinking of people today, Cecilia Bartoli is consumed by her passion for whatever she’s singing. That passion is something she communicates effortlessly, with tremendous energy and excitement. It seems to consume her entire being, to ‘light her from the inside.’ That’s what people find irresistible in her above all, I think (rather than her admittedly superhuman fits of vocal agility). 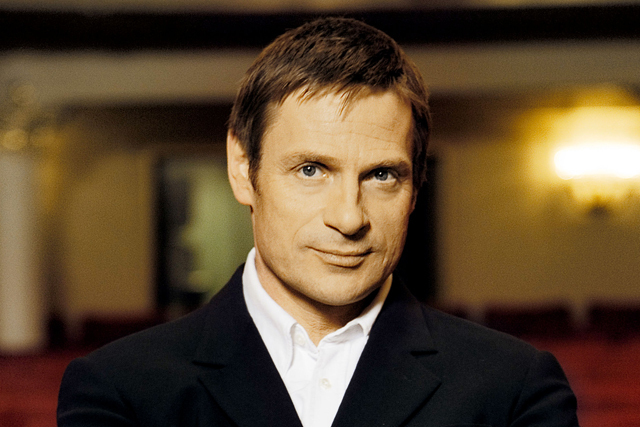 I find baritone Simon Keenlyside an extraordinarily charismatic artist. As with Bartoli, he identifies completely with everything he sings. He absorbs the music and the character completely into himself, and he pares it down to the essence, so there is simply truth in front of you as an audience member watching him. 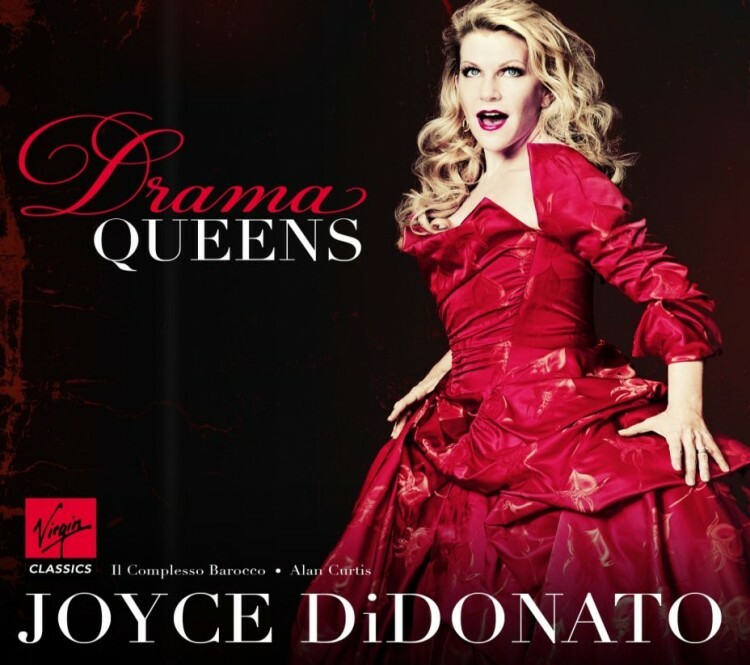 Mezzo-soprano Joyce DiDonato is tremendously charismatic. Like all great performers, she has the ability to reach out to any audience member and make that person believe she’s singing directly to them. Everything she does onstage she does with absolute naturalness. Like those other two performers I just mentioned, her enthusiasm for her material is total, and it absolutely comes from inside. TR: Singers who have that extra star power and charisma are those who are fully prepared. Their preparation is total, which allows them the freedom to completely inhabit their roles on a very deep level. Regina Resnick, Elisabeth Söderström, Malcolm MacKenzie, and Dana Beth Miller demonstrate that complete dedication to their craft. Obviously, charisma means different things to different people, but ultimately it comes down to the same thing. Charismatic performers are thoroughly prepared, intensely focused, and emotionally vulnerable. As singers continue to develop their skills, they can trust their technique to provide the foundation so their natural charisma can freely emerge. Like a butterfly breaking free of its cocoon, a singer who has found that ‘inner spark’ is a wonder to behold. As printed in the April 2009 issue of Classical Singer Magazine.